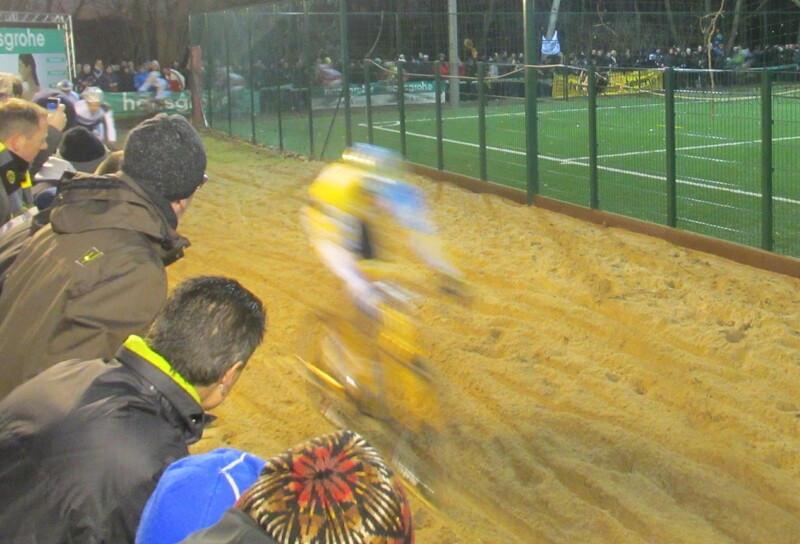 Ever since I moved to Belgium I have loved the fact that almost nothing stops the cycle sport calendar with the cyclo-cross season kicking off almost as soon as the road season finishes. However one of my frustrations was that I had never managed to coincide a free weekend with one of the local events so I hadn’t experienced it first-hand. 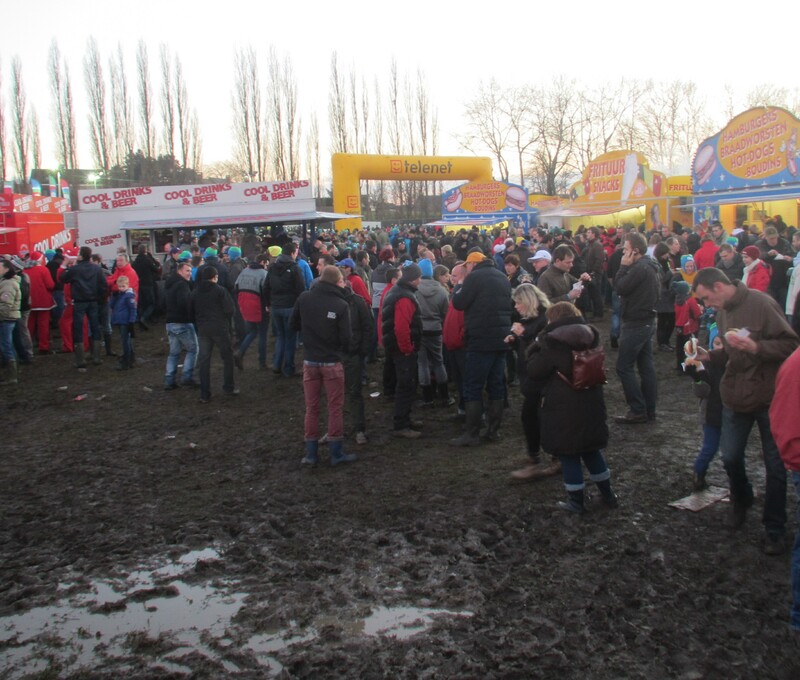 The Diegem cyclo-cross, held in a suburb of Brussels out near the airport, between Christmas and New Year was an ideal opportunity to put that right. 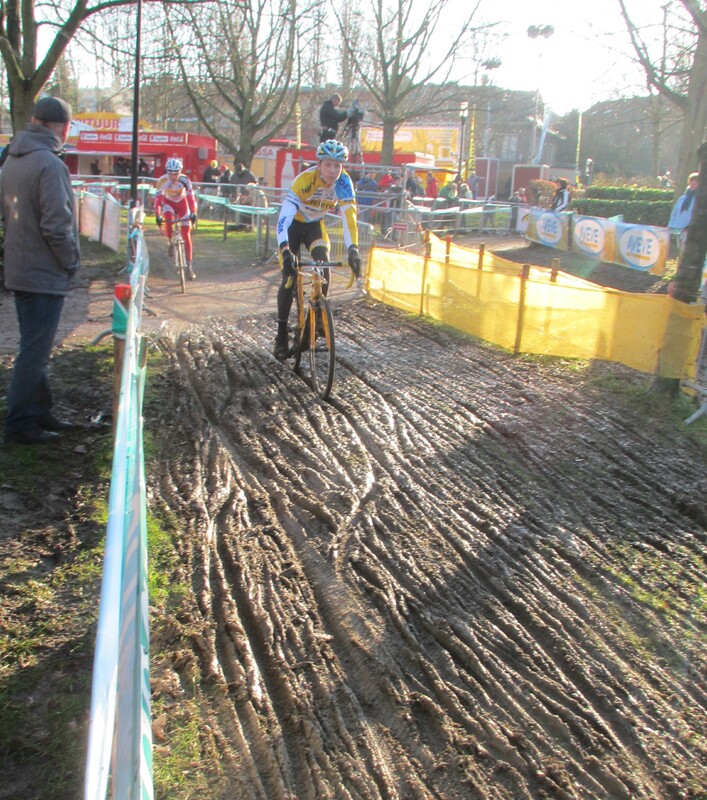 It also has some unique features even for a Belgian cyclo-cross. 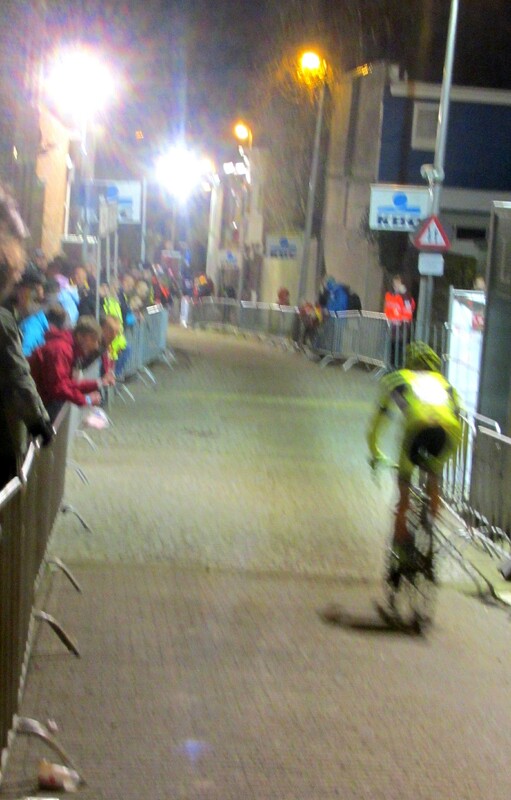 It is part cyclo-cross, part street circuit as it winds itself through streets of the town and the surrounding parks and sports fields, while the elite professional event is held in the evening under floodlights giving it a distinctive party atmosphere in keeping with the season. Even more reason to target this as my first event and something for my visitors. 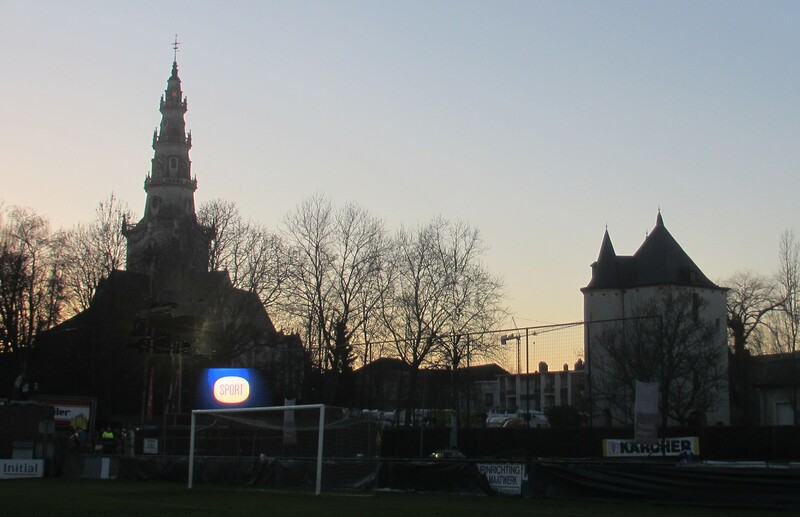 It did not disappoint, the crowds were large and the atmosphere noisy and enthusiastic, fuelled by significant quantities of beer and frites. 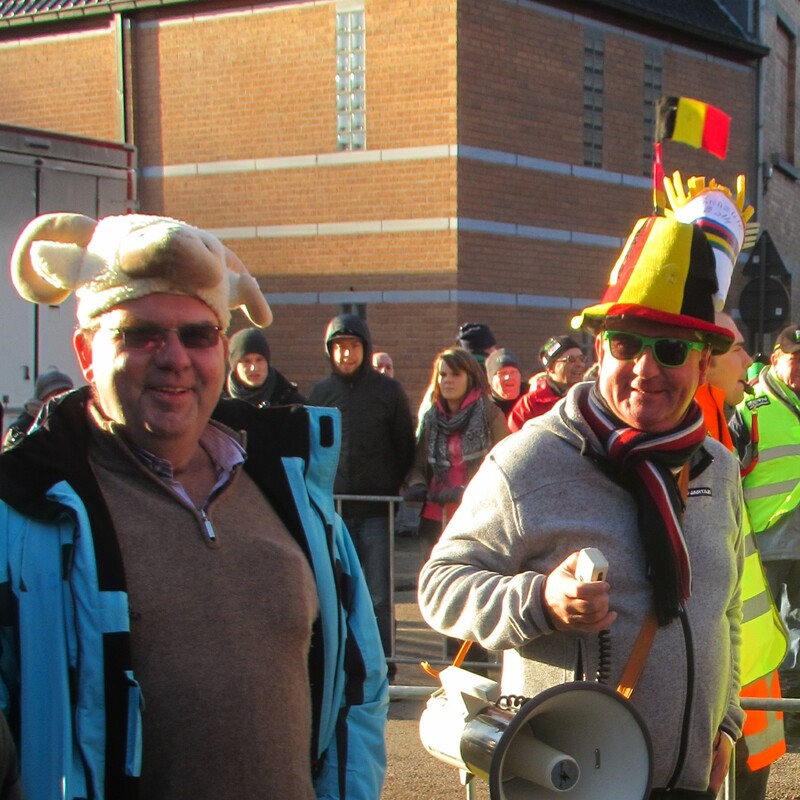 There is no doubt that watching cycling with Flemish crowds is unlike anything I have experienced anywhere else, the rowdy boozy culture is much closer to football or rugby with the alcohol, the laughter, the fan clubs and the music building up the noise and the buzz throughout the day. They are also very knowledgeable, picking out key riders in all four events of the day and giving them a supportive shout. 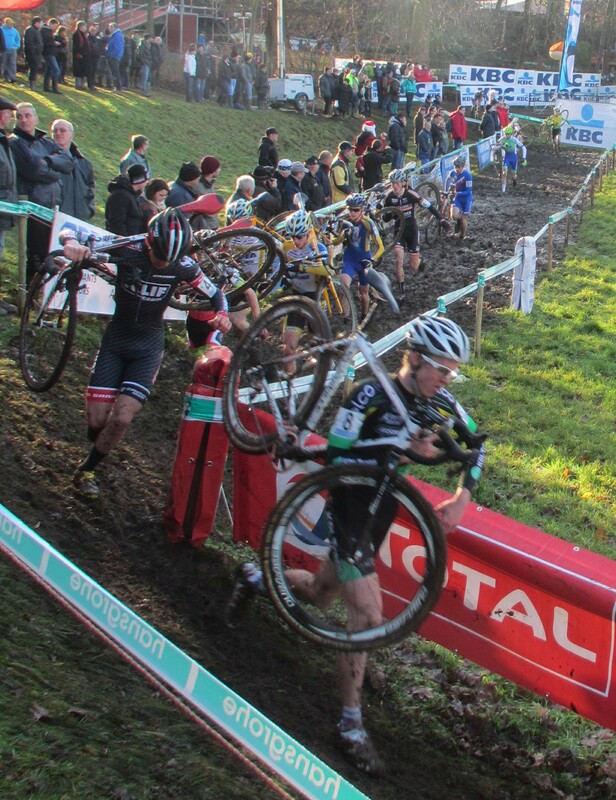 I used to ride cyclo-cross as a kid, probably until I was about 16. Like most of my cycle racing I wasn’t much good at it but I thoroughly enjoyed the muddy days in assorted parks around East Anglia. 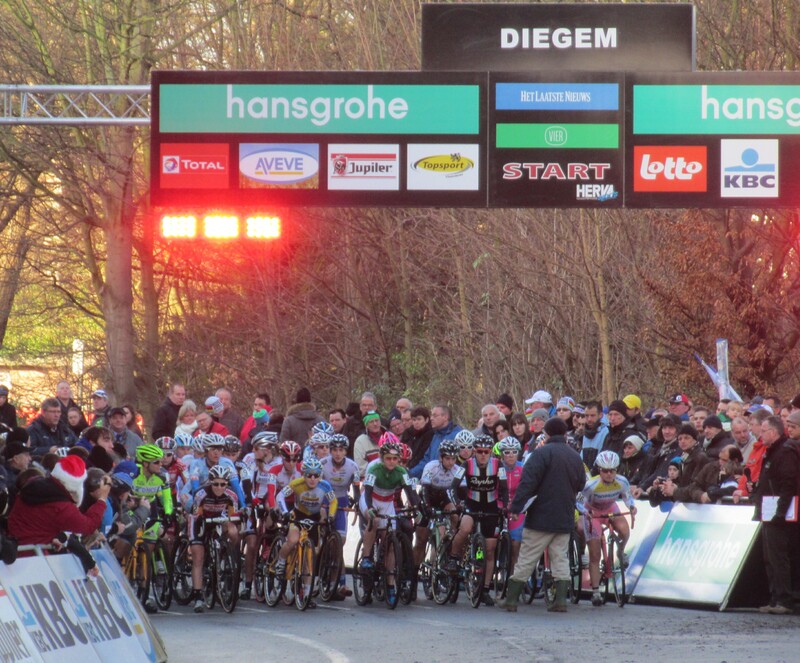 The first cycling event I ever organised was a cyclo-cross too, I ran an event for the Godric Cycling Club when I was about 17. Of course that wouldn’t be allowed now, all sorts of public liability and responsibility issues but inside the safe and supportive shell of the cycling club I grew up with it didn’t seem a problem at the time. (I think my career in cycling administration was pre-determined). 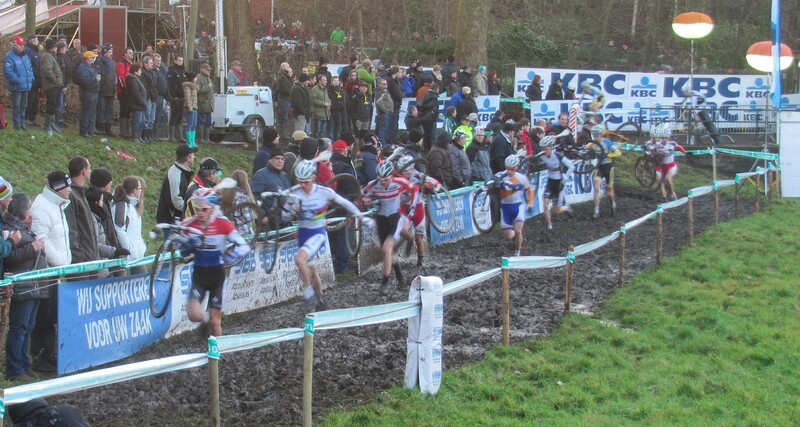 However none of that was a guide to Belgian cross at this level. That was a lost world of aficionados with a handful of relatives watching and the occasional curious park user walking their dog. Here this is a significant sport with the crowds to match. Rather than write too much I will let the pictures do most of the talking, but here’s just a few words about the atmosphere. It’s a street cross, woven through the streets of the town, then diving off into two sports grounds and some little tracks that dart between the houses. 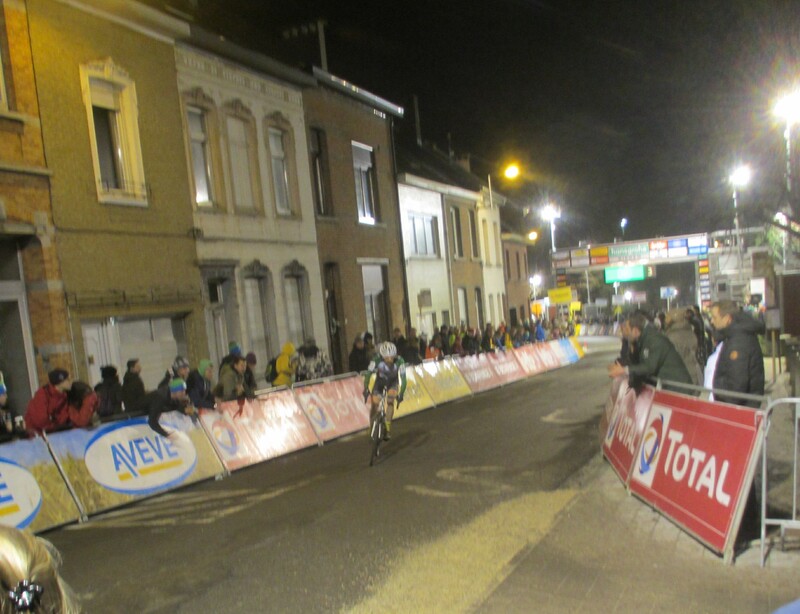 That makes it almost like a criterium road race and some of the riders’ speed is almost crit speed, only cornering on muddy tyres onto mud and grass, then leaping on and off the bike to run through the sections that had already become unrideable during practice. And the elites do that in the dark too. The speed is incredible. 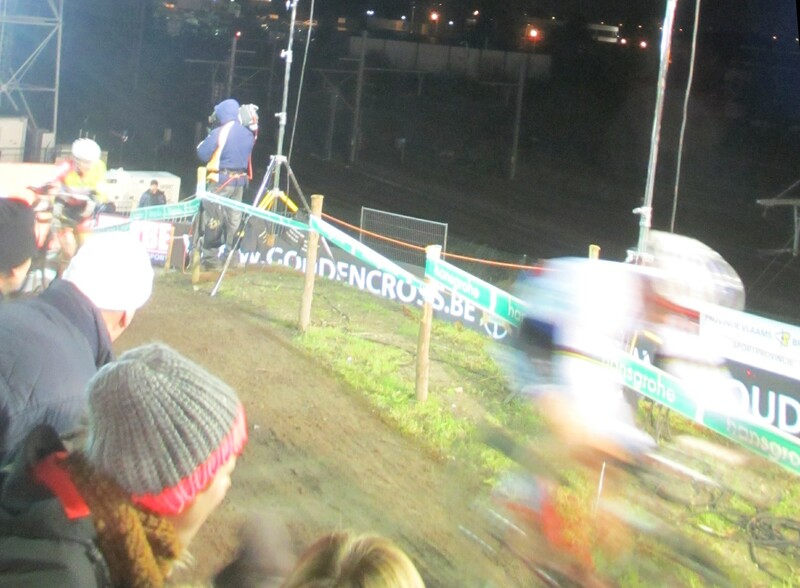 Watching cross on TV clearly doesn’t do it justice, especially the elites. 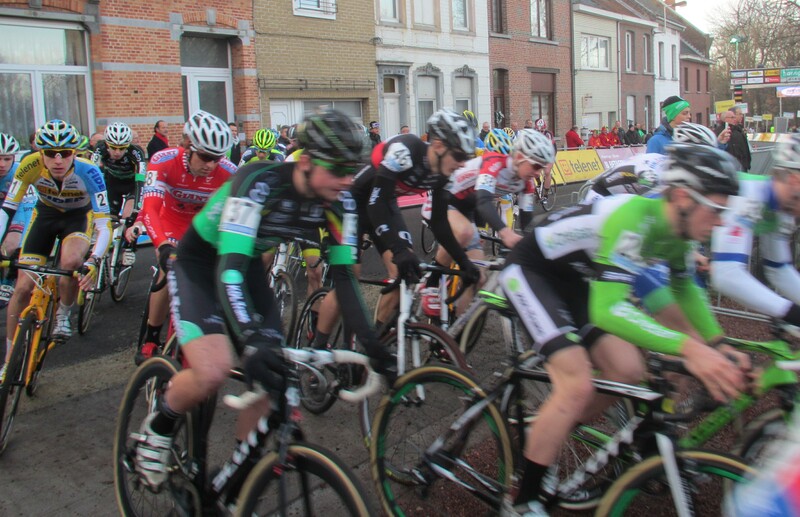 The races only last an hour so the top guys are able to go almost flat out for the full race. As dark fell my little camera was almost unable to cope, but in itself that tells a story. And there are some special stars who may only be known outside a small circle but round here they are almost household names. 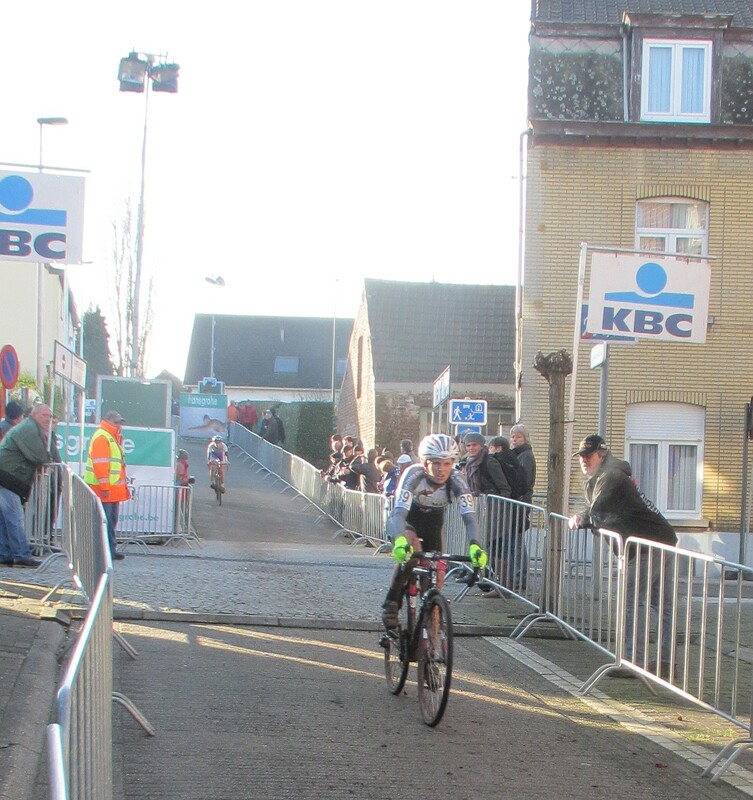 Sanne Cant, the Belgian champion won the women’s race while Mathew Van der Poel was the Under 23 winner. Watch that name – son of former professional Adri and grandson of French cycling legend Raymond Poulidor. 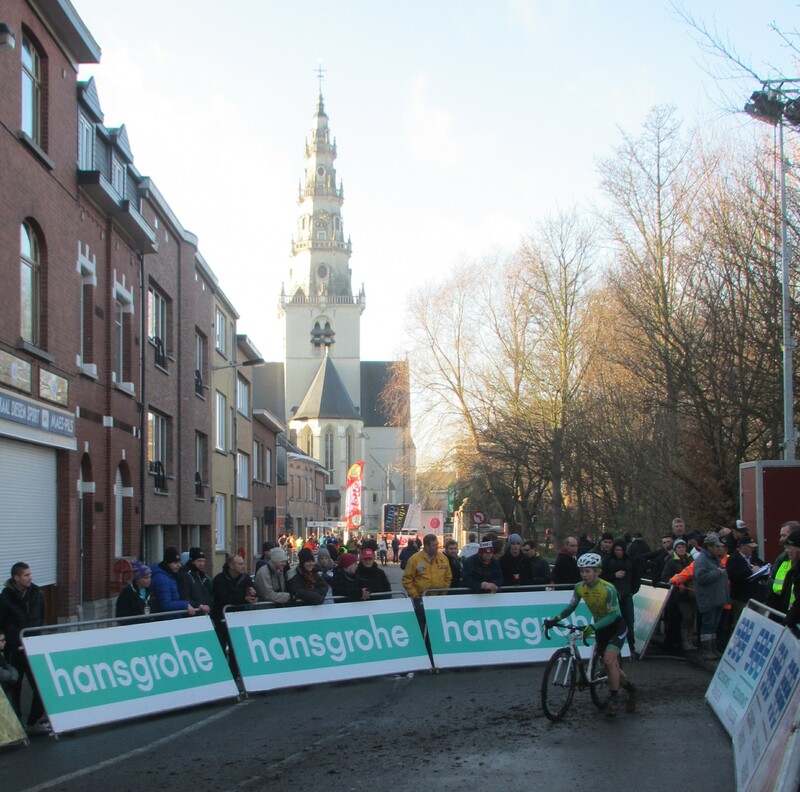 He is already a junior world champ at cyclo-cross and road race and is tipped to be a very big deal indeed. 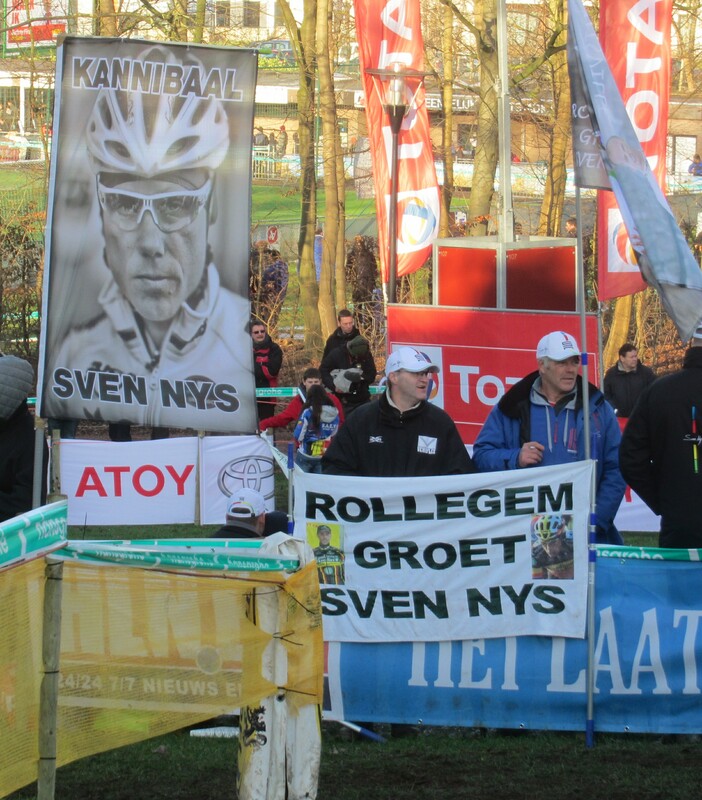 But above all else this day belonged to Sven Nys. The 37 year old world champion is having a dream season and he was imperious in this event, riding away comfortably from his challengers over the last two laps to the joy of his fans who cheered all the way. 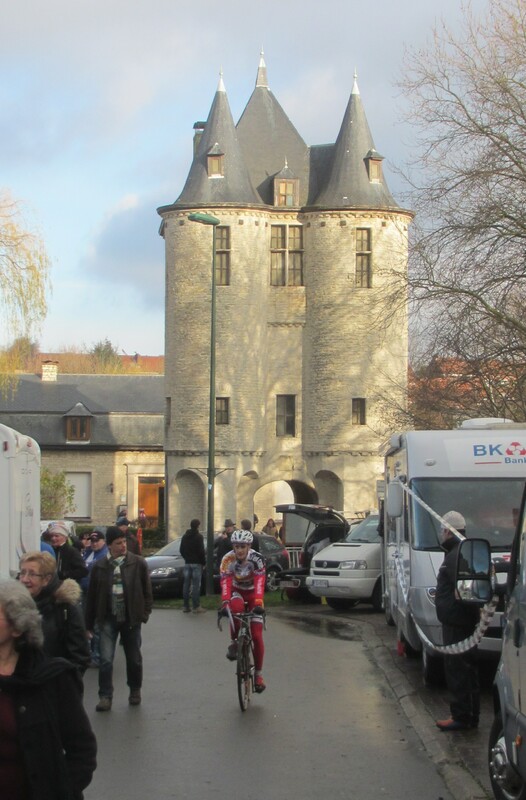 This has whetted my appetite, in future years I know I have to make my way the distinctive cyclo-crosses that feature the woods, the sand dunes of the coast, the embankments of the Namur Citadel and the cobbles of the Koppenberg. 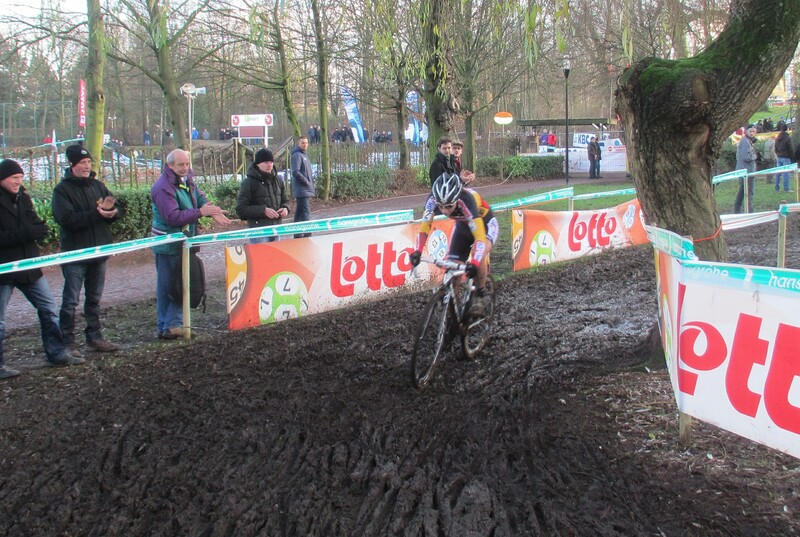 For the moment I think maybe I should just bet €5 on Sven Nys for another world champion’s jersey this year. 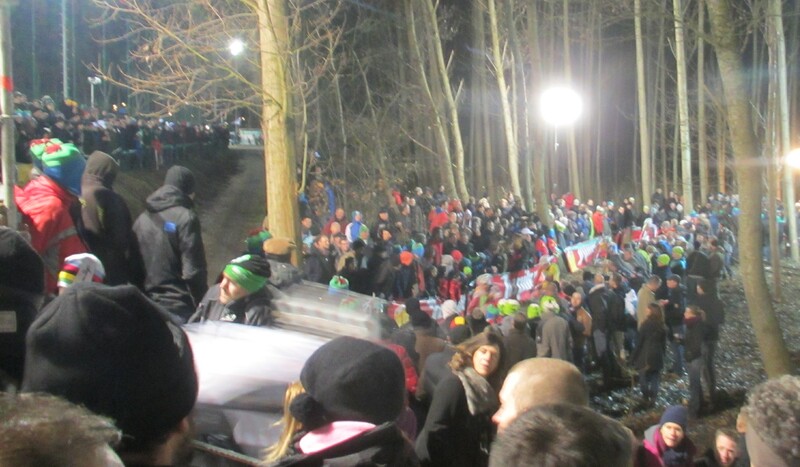 This entry was posted in Life in Belgium, Musings and tagged Belgium, Brussels, cycling, cycling club, cyclo-cross, cyclocross, Diegem, Mattew van der Poel, Superprestige, Sven Nys by kevinmayne. Bookmark the permalink. 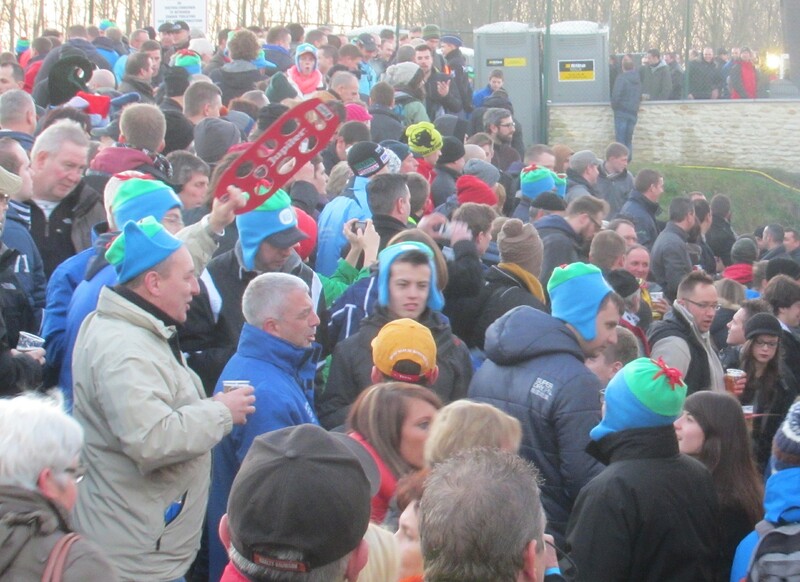 Great pictures and evocative of the event. Fabulous. Thank you, its a fun occasion. 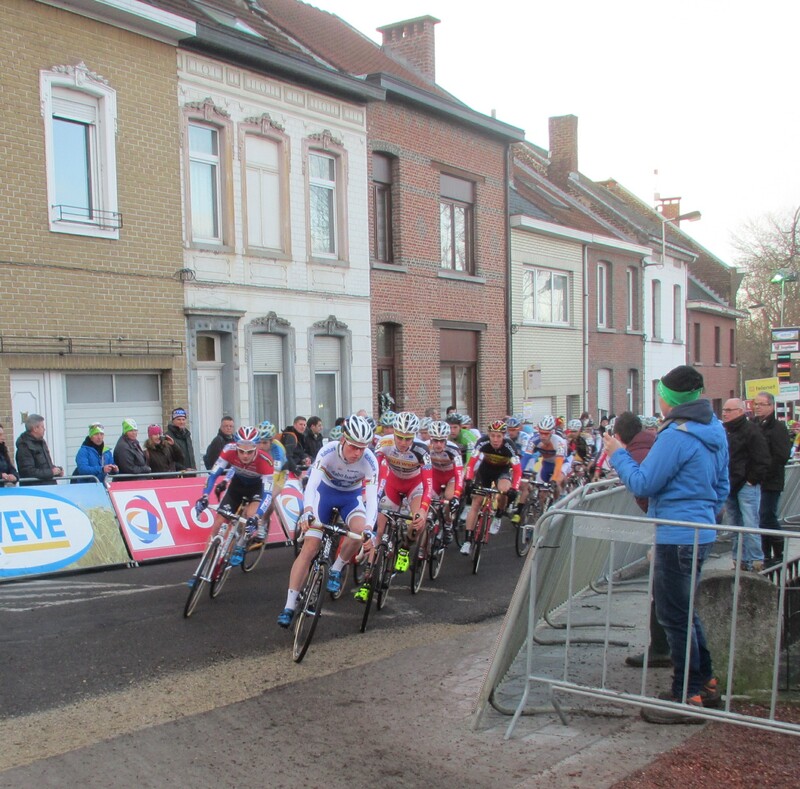 Next time you are in Belgium Alessio we will be going out for a proper taste of Belgian cycling culture.